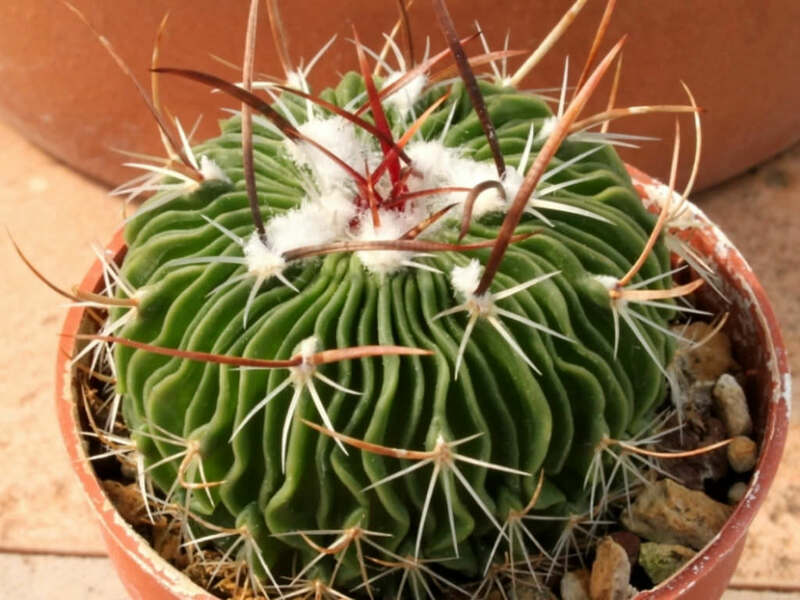 Stenocactus multicostatus is a low-growing cactus with a lot of narrow, very acute and straight or wavy ribs, densely pleated together, giving a wrinkled look to its near globular shape, with short, 6 to 18, soft, flattened, brownish spines, arranged crosswise. 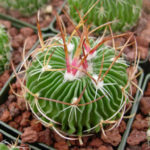 The stem is spherical to short-cylindrical, usually many-ribbed, grey-green to deep green, with a flat tops, up to 5 inches (12.5 cm) tall and up to 6 inches (15 cm) in diameter. 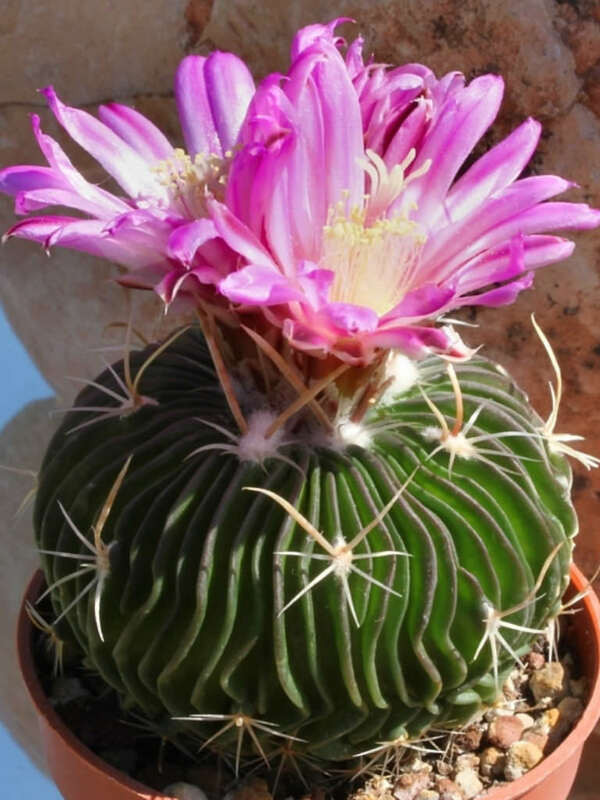 The flowers are up to 1 inch (2.5 cm) in diameter, white, pinkish purple or violet and with a darker violet to purple midvein. 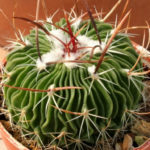 If you can grow cacti and succulents successfully, you can likely grow Stencactus without too much trouble. 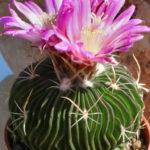 Their water and light requirements are fairly typical for many cacti species, including a cooling period in the winter to promote better blooming. Watering should be done carefully, allowing the plant to almost dry out between waterings. 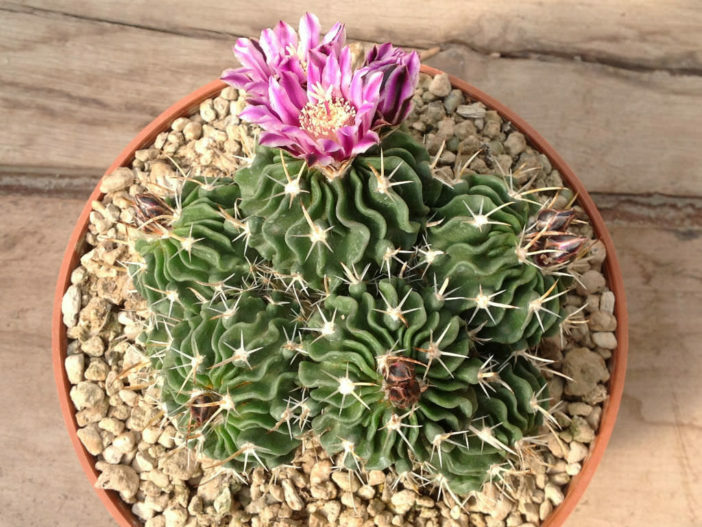 It is imperative that the cactus is not exposed to prolonged dampness and sitting water. Never let your cactus sit in a dish of water. For the best viewing, instead of propagating your offsets, let the plant for a large cluster. Lastly, make sure to fertilize during the growing season for the best results. 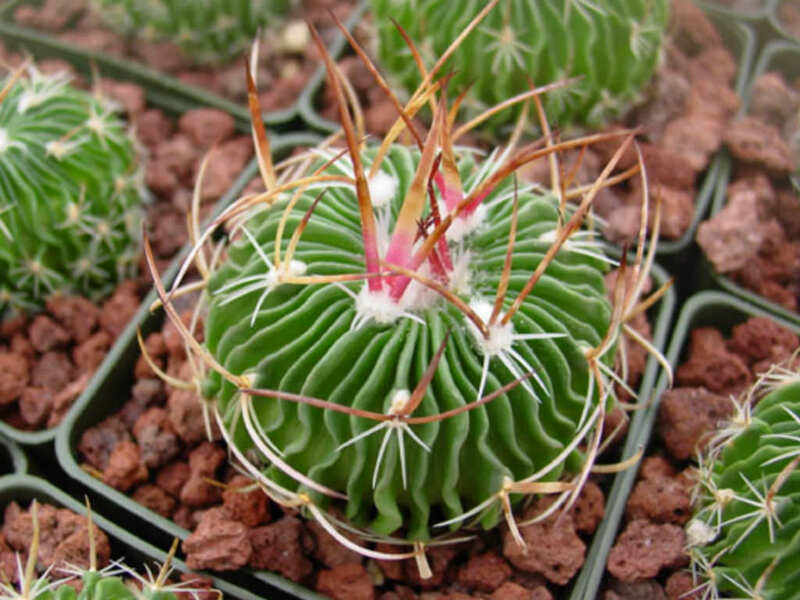 Stenocactus multicostatus is native to Mexico (Chihuahua, Coahuila, Durango, Nuevo León, San Luis Potosí, Zacatecas and Tamaulipas).